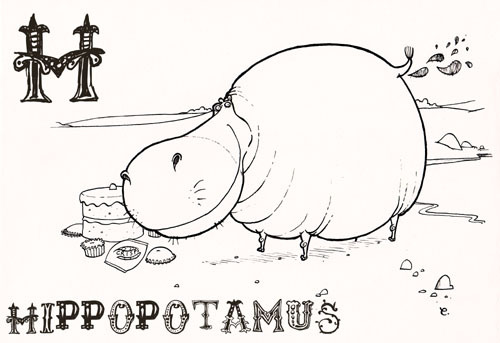 My print-it-out-and-colour-it-in-if-you-wanna animal alphabet continues today with the letter H, which is for hippopotamus. 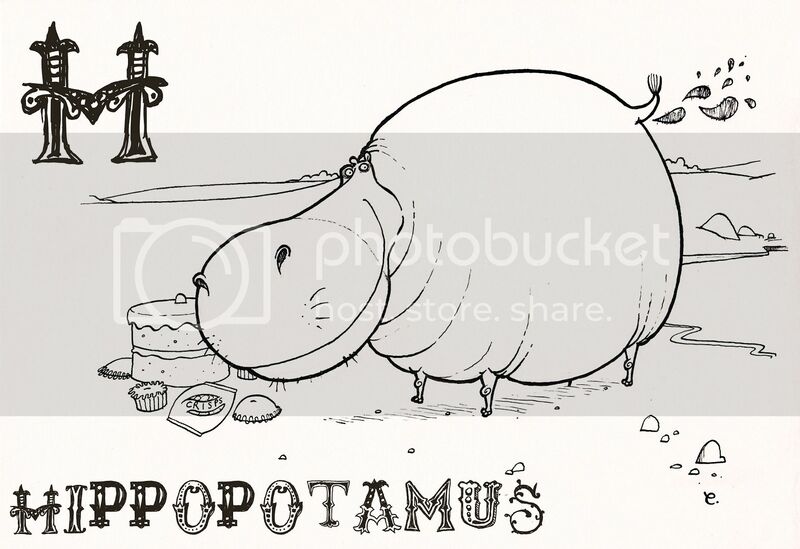 Hippopotamii are very fat and should lose weight or else they risk heart disease and type-2 Diabetes, putting an unnecessary strain on the health service. If you would like to download and print out an A4-sized version of this fatso, you may do so HERE.